All the why me Lord? Beautiful and true words thank you! Hou are most welcome! More of the fire of God’s love! It’s a wonderful and a painful thing this fiery love that will not stop until God has it all. May the fire of Gos’s love burn in your heart! 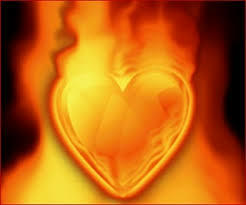 I love it, the fiery love of God! And like the burning bush, it is a fire that never goes out. It doesn’t need us to stoke it, for God’s love always was, is and will be. Pasror Chuck, it is wonderful that the fire of God’s love is always burning. Blessings! Praise God for his love of fre! It changes us!